Linda Donlin has been a LVT since 2000. 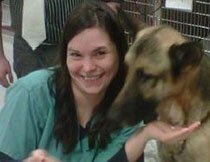 She spends the majority of her career in Emergency and Critical Care but was eager to join the SOS team and contribute more to the animals in the community. She has a beautiful daughter and they live with 2 pugs, 2 cats, 2 ferrets, 1 hamster and 6 chickens.